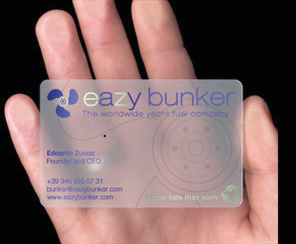 Eazy Bunker is proud to announce we got our new business cards made from #recycled and #biodegradable#plastic. We want to reduce plastic waste and act on it. We thank @plasmadesign the company who made it for us. Eazy Bunker wants to become the first environmentally fuel company!